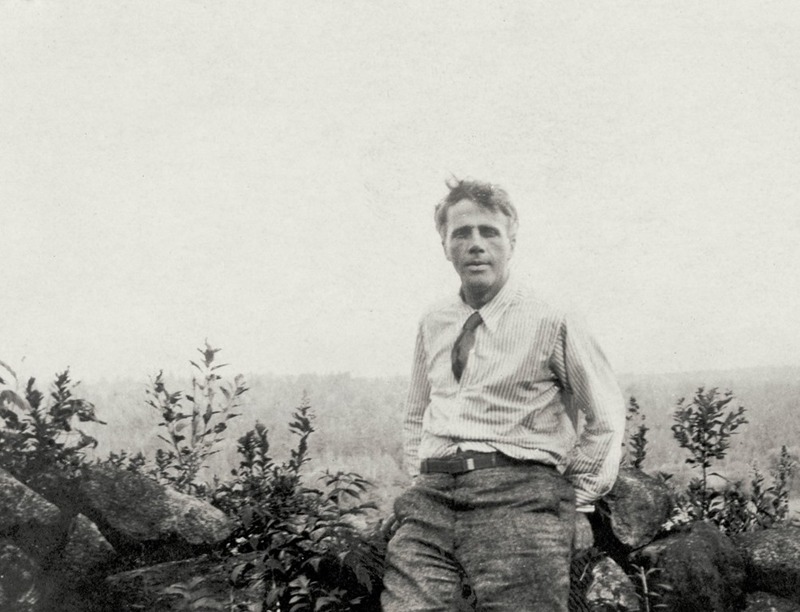 As we continue our celebration of National Poetry Month (#npm2018), today we present one of America’s most loved poems, “The Road Not Taken” by Robert Frost. This poem is loved, but like many of our lovers, it may not be understood. We think it means, as we think they mean, what they mean to us. Some love the poem as an endorsement of going against the tide. If an article or personal story includes the line “the road less traveled by” that will likely be the point they are making by referencing this famous poem. So common is this understanding that many people think that phrase is the title of the poem. Some think of it as a slightly less sure poem that reflects on a common life experience. Many of us can look back at some seemingly mundane choice that we’ve made that has had far-reaching consequences in our lives: that class we took on a whim, that meeting that occurred only because we were late or went to the wrong place, that failed idea that lead to a much better one, and so on. We often love a poem that reminds us of ourselves and the common beats of our lives. We may even be flattered by that. Robert Frost was adamant that neither of these was the poem he wrote. And if I’m to honor my mid-century teachers—all schooled in the close reading of that then only-slightly-old “New Criticism”—I’d have to say that Frost is right, that’s not the poem he wrote. As I recounted in my presentation of one of Britain’s favorite poems, Edward Thomas’ “Adlestrop,” Frost was attempting to make a generalized joke derived from a particular foible of his British friend. Thomas, who Frost encouraged to become a poet, was a naturalist, and as he and Frost walked around the Cotswold countryside, Thomas was often unsure about the old and sparsely marked paths and lanes that wander through that landscape. He wanted to take Frost to the best locations to see wildlife, and when he took the wrong path, he would regret it and puzzle all the more the next time he came to a fork or crossroads. In the poem Frost wrote, the vacillating description of whether there is any actual difference in the roads to choose between at the time of the choice, is meant to describe the difficulty in making that decision. That’s consistent with that second reading of the poem about how seeming arbitrary decisions can have unexpected effects later. We don’t know what meetings to be late for or which whim will turn out fruitful at the time. It’s the poem’s last stanza that sets out Frost’s poem, in place of ours, despite it ending in the two lines (“I took the one less traveled by, and that has made all the difference”) that are used to sum up the first two subjective readings. First, the conclusion revealed there is stated “with a sigh.” This is not an “I took my own path, and that’s what made me what I am today,” or an “I didn’t know it then, but that mistake was a lucky break” recollection. Those are statements of triumph or benevolent fate, and we don’t make either of those “with a sigh.” And even more subtly, there’s a trick in the two lines before the last one, “Two roads diverged in a wood, and I—I took the one less traveled by.” Did you notice it? As it sometimes is with our lovers, we may have misunderstood what he said by misunderstanding how he said it. 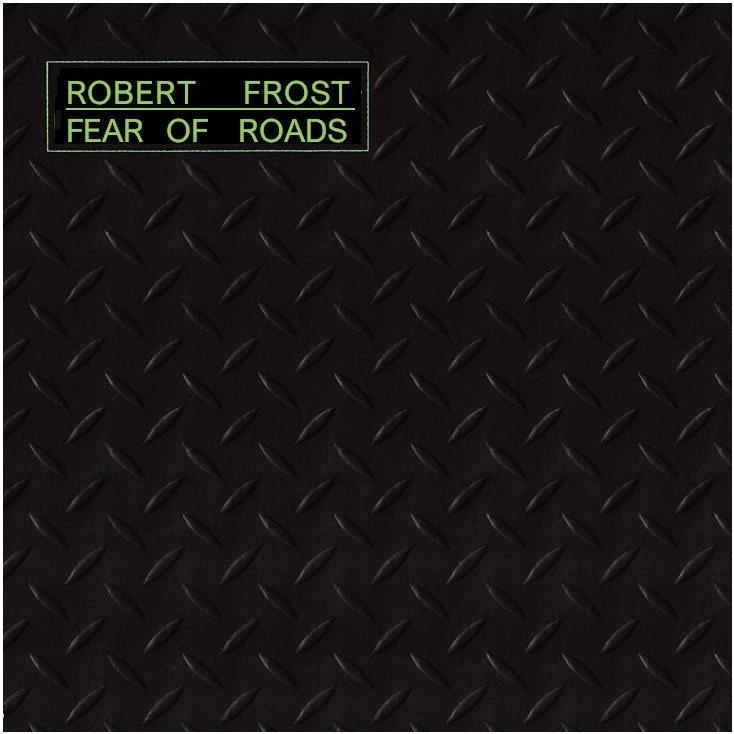 Musically this started with an idea: do Robert Frost as if performed by the Talking Heads. I came to a fork in the road part way into recording it when it came time to add the keyboard part and I wasn’t able to lay down a part that helped the song. As a result of that choice, I didn’t really use the early David Byrne vocal mannerisms either. In the end I think it’s a clean presentation of the poem, sung. When I noticed the “I—I” thing today after recording the vocal and had finished a final mix, I went back and was pleased to find that hadn’t missed the two I’s, but then I recalled the “I, I, I, I, I!” vocal riff Byrne repeatedly interjects in “Psycho Killer”—so there’s still possible version someone could do to bring that out! To hear the road I took with this, use the player below.